Mega Menu helps organize your categories in the most excellent way. Quickly and easily navigating in a website. Showing featured products or promotional images within the menu. 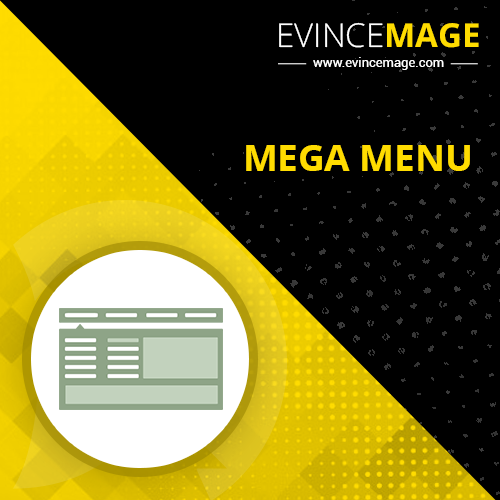 If you are seeking a way to improve usability and navigation of your online stores, Mega Menu extension is exactly what you need. It helps organize your categories in the most excellent way. 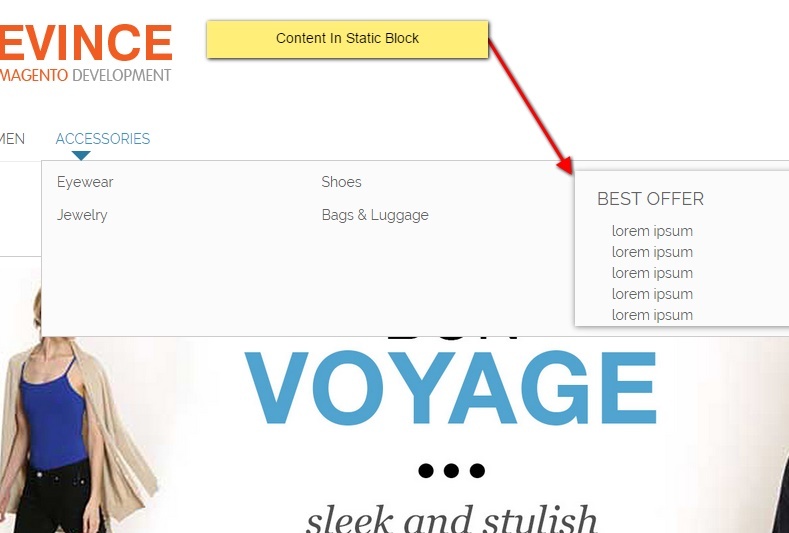 Your customers access categories by hovering over the menu. It is very important that the menu should involve maximum of information that is needed by your Customers. 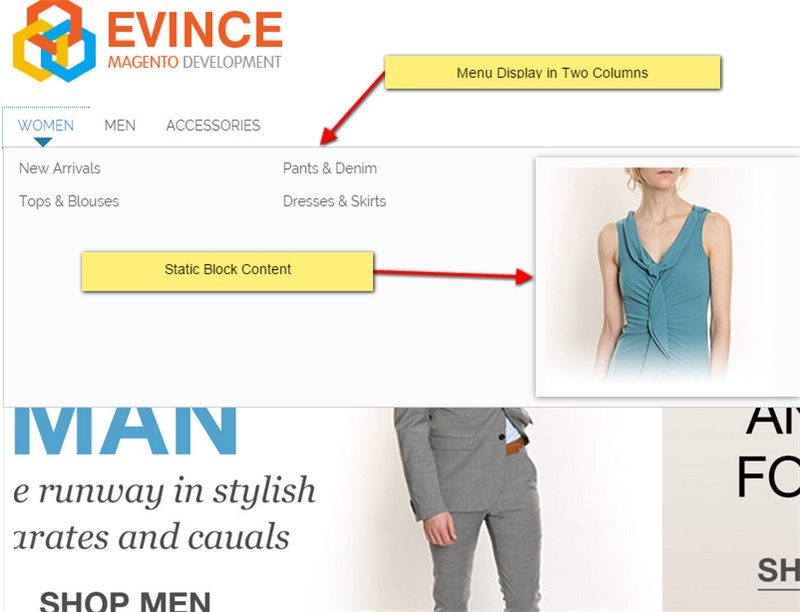 If you want to improve your eCommerce site usability and navigation with a more professional menu display, Mega Menu extension is exactly what you need. Instead of the traditional menu display with just one column, you can organize your product into categories and present them all in only one dropdown multi-column menu. Thus, the extension allows your shoppers to navigate quickly and easily to your website. 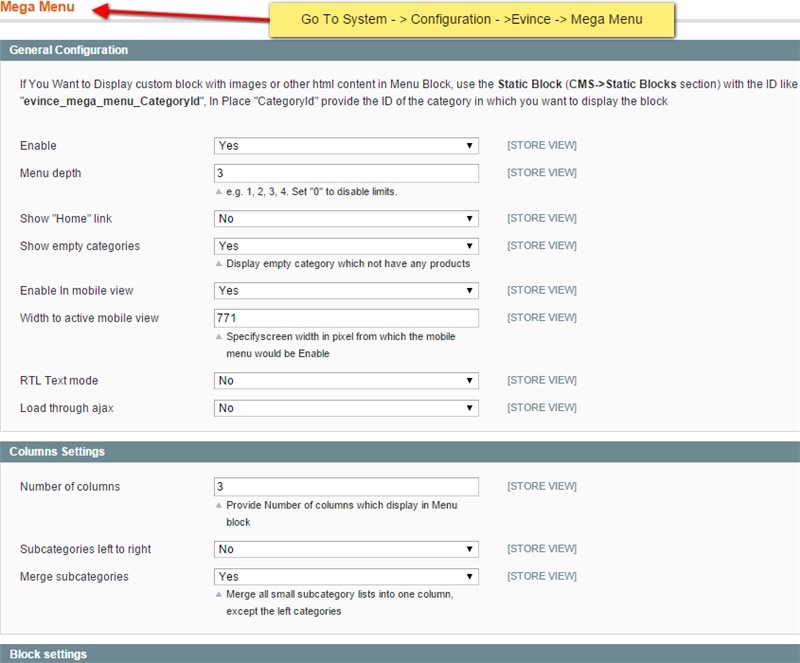 Mega Menu allows you to add sidebar and featured products or promotional image. You can also add contact form banner in menu.